This entry was posted in collectibles and tagged MOTOR-TOBER posters on October 31, 2010 by James Day. Today we have the final items in our October MOTOR-TOBER series. 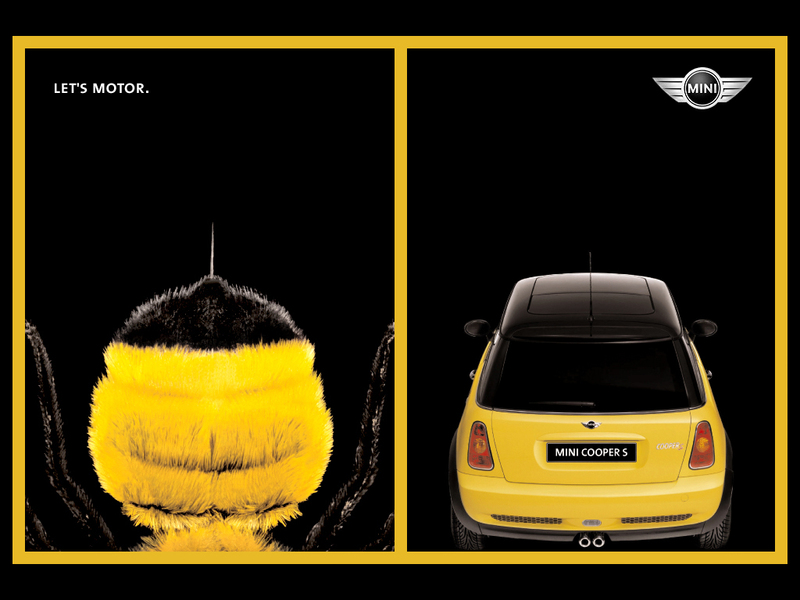 From 2009 come these two clever MOTOR-TOBER posters sent to MINI dealerships to promote the month-long MOTOR-TOBER event. Above left is the “BOO.” poster with a MINI Cooper dressed in a sheet as a ghost. The poster above right shows a MINI Cooper carved out like a pumpkin with the phrase “SAVE A PUMPKIN. CARVE THE ROAD.” below. This entry was posted in collectibles and tagged GRAND-AM motorsport posters on October 12, 2010 by James Day. The first team to race the MINI in the GRAND-AM Cup series was Nuzzo Motorsports starting in 2003. This poster comes from Nuzzo Motorsports and MINI USA circa 2004. It measures 17″ wide by 11″ high. This entry was posted in ads collectibles and tagged BSSP Hammer & Coop posters on September 15, 2010 by James Day. 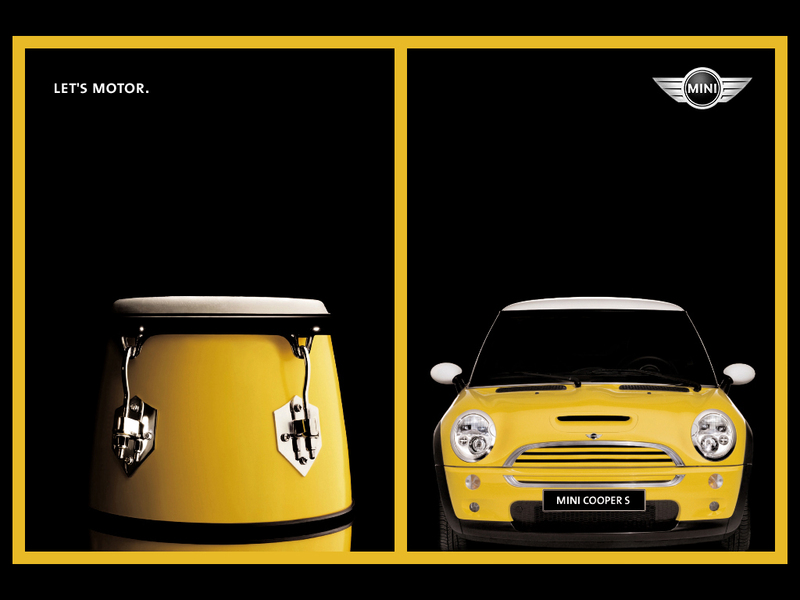 In early 2007, MINI USA launched the Hammer & Coop advertising campaign developed by Butler, Shine, Stern & Partners. The campaign centered on Web episodes of a series starring Jim Turtledove as “Hammer” and a MINI Cooper S as “Coop”. Pictured is the poster ad for the series. The Hammer & Coop website address shown on the poster (HAMMERANDCOOP.COM) now goes to the MINIUSA.com website. This entry was posted in collectibles and tagged MotoringGear posters on June 17, 2010 by James Day. MINI USA catalog number: 99 00 0 003 472. Original price was $16.95 for the set of four posters. This entry was posted in collectibles and tagged MTTS MTTS 2006 posters on January 25, 2010 by James Day. If you motored any of the fifteen legs of the MINI Takes the States 2006 cross-country road rally, you probably picked up one of these posters. This limited edition poster was designed by Shepard Fairey, the designer of the famous Barack Obama HOPE poster.